Political discussions in the country at present are largely dominated by questions around two themes: which individual will win the next presidential election and which political party will win the next parliamentary election. These are no doubt important questions, but there is a more serious political question about what will happen to Sri Lanka’s democratization agenda in the years to come. Political and social activists, who have made direct contributions to the regime change in 2015, are particularly preoccupied with the latter question. They are also quite worried about the indications that Sri Lanka is moving in the direction of another phase of direct assaults on democracy. The recent reports that plans are afoot in some quarters to profile citizens into two categories as patriots and traitors on the basis of psychiatric indicators, however bizarre they may sound, actually smack of a bit of Nazism. These are warnings to democracy activists that the country is in for some serious political trouble. It is therefore now time to begin a new discussion about what interventionist options are available to Sri Lanka’s social movements that have had engaged in past attempts at democracy’s defence, revival and consolidation. This essay aims at making a contribution to generating such a discussion. At the next presidential and parliamentary elections, the competition for gaining the control of government would be between three main political formations — the United National Party and its allies, the SLFP and its allies, and the present Joint Opposition and its allies. With regard to the agenda of democratization, these three entities provide very little positive possibilities. Let us first look at the performance record of the UNP led by the present Prime Minister and the SLFP led by the present President during the past three and half years. It teaches us the following negative lessons: (a) regime change is NOT an inadequate condition for revival and consolidation of democracy in any substantial sense, although it is a necessary prerequisite; (b) political parties and leaders, even those who win elections on the promise of democratic reforms, many NOT always possess courage, conviction, and political will to advance a sustainable reform agenda, and (c) Incomplete and half-hearted efforts for corruption – free governance, substantive democratization and peace-building have created political space for a right-wing and authoritarian backlash with the potential for popular support. Thus, the UNP and SLFP as political parties as well as their leaders are NOT dependable actors in advancing a transformative agenda for Sri Lanka. They have abdicated any future role for themselves as champions of democratic change. These are inconvenient truths. They are nevertheless political truths. And they encapsulate some political cruelties of our time as well. How about those who are getting ready to come to power in a year or so? The so-called Joint Opposition, its new political party called the Sri Lanka People’s Front, the leaders of these two entities as well as the aspirants who are seeking endorsement as the common opposition presidential candidate in 2019, share one distinct commonality: their contempt of and antipathy towards a democratic reform agenda. They are at present creating conditions to secure a popular mandate for a post-democratic and populist-authoritarian political transition in Sri Lanka and they might even succeed in their quest. Their electoral success, if that happens at all, will bring some euphoria at the beginning. Yet, it is certain to mark a political setback of worst kind for the citizens of Sri Lanka. Such a regime change will also cause unmanageable political and social conflict, exacerbate political instabilities as well as ethnic and social polarization, and make violence necessary as an instrument of both regime survival and social resistance. As the numerous international examples show, dislodging such a regime from power will certainly be a violent affair, accompanied by bloodbath. This dystopian scenario is only one side of contemporary Sri Lanka’s story of democracy. Its other side is that democracy has been a social process pushed forward by citizens’ political desires, commitments, struggles and resistance interspersed with democracy’s decline, setbacks and regeneration. This has indeed been one of the most significant dimensions of Sri Lanka’s political change in recent history. Every retreat from democracy by regimes with authoritarian intentions has also generated resistance leading to eventual revival of democracy overcoming setbacks and popular inertia. This cycle of retreat and regeneration of democracy is a part of the long-term dynamics of Sri Lanka’s political change. Each generation of citizens has to deal with it and bear its consequences and enjoy its fruits. At the same tine, the 2015 experience has taught Sri Lanka’s citizens a disturbingly new political lesson: political parties and the class of professional politicians are no longer reliable allies in the struggle for democracy. For them, democratic desires and aspirations of citizens have only an instrumentalist value. Their loyalty and fidelity to their own democratic constituencies is tentative, opportunistic and expendable. The challenges of Sri Lanka’s democracy’s survival would be all the more daunting in a context where the SLFP and the UNP, if they find themselves in the opposition, would be decisively weakened as a part of the post-democratic political agenda of the new regime. All other political parties, except the JVP in the South and one or two Tamil parties in the North, are likely to capitulate and be partners in a new authoritarian onslaught. In a worst case scenario, what J. R. Jayewardene and Mahinda Rajapaksa did to ensure the disintegration and capitulation of the opposition in the recent past would appear mild compared with what is likely to happen under the political order that is taking shape at present. A variety of local and international factors seem to be conspiring to cause this possibility. Key among them are (a) the emerging regime’s close proximity to China, its admiration of the Chinese economic and political model, and of course the links with the new forces of global capital, (b) its agenda of rapid economic growth with excessive emphasis on political stability amidst an unprecedentedly severe economic crisis, (c) authoritarian adventurism of the ex-military-civilian power bloc that would shape the new regime’s domestic and international agenda, (d) the likely onset of a counter-democratic backlash following the presidential and parliamentary elections, and (e) return of the governance model of national security state. Thus, Sri Lanka has the potential to emerge as a new and extended version of the Maldives. Now, this backdrop confronts Sri Lanka democracy constituencies with some difficult and intractable prospects with the following questions: If a serious setback to democracy is almost a certainty after 2019-20 elections, how will democratic regeneration possible in Sri Lanka? How could democratic civil society and political society constituencies survive an inevitable phase of repression and closure of the space for dissent and mobilization? How could regeneration of the democratic movement be made possible under conditions of a Right-populist and authoritarian regime? Building and strengthening democratic defences and resistance in our society is perhaps the only available path to counter the degeneration of Sri Lanka into another version of the Maldives. In view of the decline of Sri Lanka’s political parties as institutions of democratic resistance, most of the responsibility for resistance will fall on the shoulders of citizens and their autonomous mobilization. The culture of resistance is indeed one of the abiding qualities of the political life of Sri Lankan society. The praxis of resistance is usually preserved and sustained by groups of activist citizens who constitute the democratic nucleus of society. It is they who also constitute the civic republican core of Sri Lanka’s democracy. Their civic republican spirit is characterized by their politics of (a) defending democracy whenever it is under threat, (b) civic resistance, (b) public spiritedness, (c) civic alertness and vigilance, (d) collective activism, and (e) the vision of democracy as an indispensible public good. They are spread across trade unions, industrial workers, student groups, peasant organizations, urban and rural youth, women’s activists, professional associations, socially conscious religious communities, media practitioners, non-governmental organizations, and individual citizens with advanced democratic consciousness. Though relatively small in numbers, it is some of these groups who first mounted sporadic resistance to the authoritarian regime of the Rajapaksa brothers and then created conditions for sustained resistance until a new coalition of political parties emerged to facilitate the opening up new space for democratic revival. These civic republican groups are now largely dormant. They are awaiting a fresh phase of mobilization and it requires coordinated initiatives and action. Providing organizational leadership to these scattered core groups of Sri Lanka’s democratic social movements is perhaps the immediate task of the more active and resourceful civil society groups. 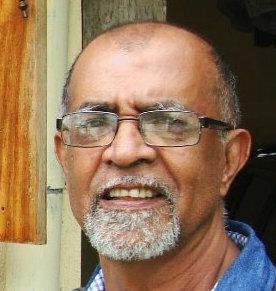 They have one year ahead before the next presidential election to mobilize a new social movement of democratic defence and resistance in Sri Lanka and then build a strong coalition of counter-veiling social forces to any authoritarian political formation that has prioritized the replacement of democracy in its Right-wing reform agenda. There are a few normative principles on which the politics of a new social movement for democratic defence and resistance needs to be constructed. (a) It is a broad coalition of social movements, built on the principle of democratic plurality and diversity; (b) It should evolve itself as a lose conglomeration of multiple spaces of democratic resistance with no center, no ideological straitjacket, or no organizational hierarchy; (c) It will work in a purely tactical alliance with major political parties, with the firm conviction that its political autonomy is not compromised; (d) It will work in closer coalitionist cooperation with small political parties without getting entangled with their electoral agendas; (e) It will construct a new political language that can re-ignite democratic and emancipatory political imaginations of the broad constituencies of citizens. A timely analysis and a warning of the impending doom unless people wake up and face the threat to democracy and freedom and start mobilizing to prevent the return of the Rajapaksa Mafia. In the coming elections they are going to work the Sinhala-Buddhist crowds with an unabashed national security ideology, promising to make the Sinhala-Buddhist ethos the dominant ideology of the Sri Lankan state. This can only lead to more polarization, unrest, and the eventual destruction of democracy. I do not know are sirimavo or Jr are the strong leaders if a leader can’t uplift the country economy at least for 15 billion usd how he can become a capitalist .one thing is obvious in front of the power of Mahinda and his slfp all other parties rule before 2005 and the leaders of unp and slfp are peanuts. Good thoughts on the subject. In defending democracy, Mechanisms for the empowerment of people in the districts need to be investigated and utilised by a united group of civil society organisations. However I am not sure about the following suggestion? “Trying” to revive the SL economy at this stage is akin to flogging a dead horse. JRJ, who produced a sizeable middle class from a ruined economy during his time, came close to it but his anti-Indira anti-Indian prejudice largely did him in. The corruption slide started with Premadasa to be faithfully followed by CBK and then MR. These leaders were almost in a game as to who can ruin Sri Lanka the most. The Rajapakses bore no compunction in emptying the State coffers – openly. Where was the Sinhala Buddhist public outrage when the Rajapakses pawned Hambantota Harbour and several thousands of acres of land therein to the Chinese? The tragedy today is the Sinhala majority electorate is ready to vote in these plunderers – again? A country with such corrupt leaders and pathetically gullible voters deserve what is coming on to them. The pity is the many millions of unconnected good and decent Lankans will be condemned to suffer with the rest. This is a weakness of the democratic system in a 3rd world society. Sri Lankans are yet to see the oncoming politico-economic cyclone. I too am surprised at the total lack of outrage of our politicians, Trade Unions and civil society at the handing over of Sri Lankan Real Estate to the Chinese. In 1987 when JRJ “invited” the Indian Army in to check the LTTE and the insurrection in the South, there was total mayhem all over the country. Then MR was one of the opposition leaders in destroying State property – Power lines, Buses, Trains and so on. The country was brought into a grinding halt on several occasions. It was the same Rajapakse on his watch who created the conditions to sell Sri Lankan land to the Chinese – and later tried to fool the public by demonstrating against it during the Yahapaalanaya years. The handing over of Hambantota Port is being discussed regularly by the international media that speculates on a new kind of imperialism by the Chinese. Didn’t Rajapaksa hold all elections in time and ahead of time? The whole thesis runs on the premise that Rajapaksa will NOT hold elections when in power next. In regard to holding elections whose track record is better?. Jayadeva clan will have to invent a better goni billa. Arousing hatred in the hearts of minorities might most likely work again. When will Jayadeva Uyangoda , Vishvamitra, Sarath de Alwis and Thisarnee Gunasekara write a word on 89′ Bheeshanaya? Uyangodas’s argument is very simple. He said that Mahinda or his loyalists do not want to come to power in 2020 but the opportunities are bright so we need to built a so-called social movement for stop them come to power again. It is like a ‘Old toddy in a new bottle’. The same drama has performed in 2015 with many so-called NGO-civil society coalition. During the regime change, many so-called NGO- Civil society groups those who are based in Colombo were working to put Makinda in out but that kind of civil society groups then identified themselves as the loyalists of the new UNP-SLFP faction government. Mr. Sudarshana gunawardana, the executive director of Rights Now is A good example how the Colombo based NGO -civil society used this new space for their own benefits. Now Gunawardana is a chairman of SLBC. How it was possible? Is this a characteristic of civil society? During the regime change, so-called Colombo based civil society had showing themselves as a strong supporters to resolve the ethnic problem of Tamil people with a power sharing arrangement but after the regime changed, all of them closed their mouths to tighten. Tamil people were eventually cheated at the end of the drama for revival of democracy. In fact, the regime changed is a artificial one not a real that’s why the UNP-SLFP faction government couldn’t move forward on power sharing for Tamil in the north-east. The power sharing must comprised federal arraignment with North – East merger, which is promised in last parliamentary election manifesto of TNA. I have said this for umpteenth time. Pre election promises to Tamil political hierarchy by any Sinhala political party for the vote the base are all null and void after the elections. And rightly so. Backroom horse deals is the not way to address a ‘national problem’ if you want to call it such. In this foolish strategy disapproval of those who lost is inbuilt. When will you guys realise that. Jayadeva Uyangoda is worried about Mahinda Rajapaksa gaining control and I terrified over the possibility of Ranil Wickramasinghe gaining control again. He is worried over democracy and I am terrified over the possibility of disintegration of the country into federal blocks. Authoritarian tendencies are reversible. Federalism is irreversible. Jayadeva Uyangoda has forgotten the 30 year terror. I am still having nightmares of bomb explosions. Mahinda Rajapaksa ended the war. Ranil Wickramasinghe signed a pact with Prabakaran. I am eternally grateful to Mahinda Rajapaksa and always imagine what would be our situation today if Ranil Wickramasinghe was in control in 2009. Next election is going to be the most critical since independence – choice between stability or the beginning of the next phase of bloodshed. Prof. Jayadeva Uyangoda: Your presentation headlined ” Sri Lanka Democracy: Very Critical Challenges Ahead”. There is only ONE CHALLENGE for the PEOPLE of Sri Lanka and that is: How and what to do to RESCUE the “Goddess” named “DEMOCRACY” from being “PROSTITUTED” by the “PIMPS” of a large crowd of “POLITICAL PARTIES” who “SELL” the “Goddess” for their own benefits. Until PEOPLE identify and realize this “Lucrative Business” there is NO CHALLENGE AHEAD for the “PIMPS”. They will continue REGARDLESS.